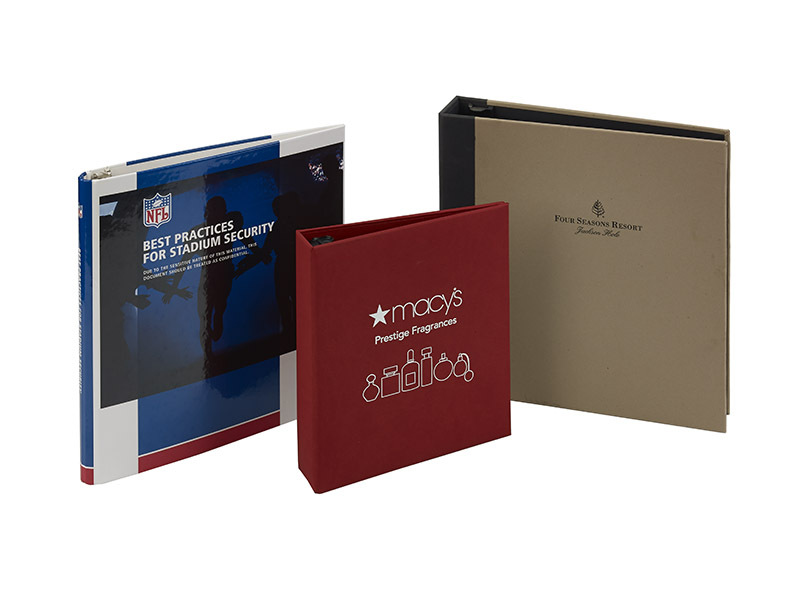 Available in a wide range of cover materials and finishes, our turned-edge binders are the right choice to enhance your organization’s communication efforts as well as its brand. The smooth edges of our case-made turned-edge binders resemble the rich look of a hardcover book. Constructed of sturdy book cloth or Lithowrap printed sheets, turned-edge binders offer remarkable design flexibility. Both brilliant full-colored layouts and full-bleed options are available, as well as the option of a Eurohinge or creased spine. Film Lamination adds strength and durability. DECORATION OPTIONS: include digital + offset printing, silk screening, and foil stamping.